Public school education in Oberlin began in 1833, the year the college and town were founded, and the high school was organized in 1860. The high school is in its fourth building in over 140 years. It has had a long and interesting history. During Oberlin’s first year, primary education was provided by the college, but at the end of the year, it was decided that such public schooling rightly belonged to the community. On June 7, 1834, the citizens of the village met to organize a school district. The first school board was elected and empowered to find a school building. They procured George Fletcher’s "shop Chamber" as a temporary building. In April 1836 the voters approved a measure to provide $200 for a new schoolhouse. This schoolhouse, "20 by 24 feet, one story high, 9 foot posts, underpinned with stone, well lighted entry," was built by Bradstreet Stevens on the "parsonage lot" just north of First Church on North Main Street. It was first used in 1837. The village quickly outgrew this schoolhouse (an enumeration in the village in the fall of 1837 showed 236 children of school age); it was sold, moved and used as a private home for many years. In 1968 it was moved to it’s present site next to the Monroe House on South Professor Street where, as The Little Red Schoolhouse, it serves as a museum and permanent reminder of Oberlin’s first decade. It is Oberlin’s oldest surviving building. In the 1830s and 1840s the public schools of the village were moved from place to place, and other schools were provided in private homes, often taught by the wives of Oberlin College professors. In 1844 there were eight such schools in operation around the village. In 1851-52 a new, two-story brick school containing three schoolrooms and a recitation room was built on college land on North Professor Street just south of the site of Peters Hall today. In the mid 1850s this building was enlarged to seven classrooms by adding a third story and wings on each side of the original building. At this time, the first attempt was made to grade the classes in the school. In 1860, the first Union School was organized, under a law that had been passed in 1849, in the same building. At this time a high school was first organized, and all the lower schools were improved. The high school had about 40 students and the total enrollment in Oberlin was about 450. The first high school commencement exercises were held in 1863. In 1869 several additions were made to the course of study in the high school, and the enrollment doubled to about 80 students. The Oberlin High School Class of 1874 was the last to graduate from this building. The Union School was bought by Oberlin College in 1874 and renamed Cabinet Hall. It was demolished in 1901. 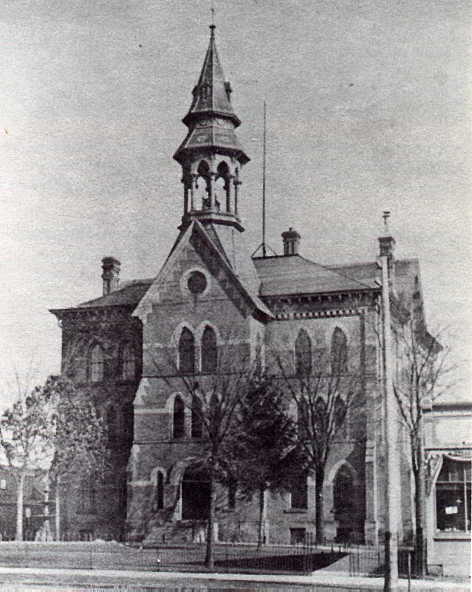 In 1873 a bond issue was passed for a new Union School building to be erected on South Main Street. The average enrollment that year was 629. The new Gothic Revival style school was built of sandstone and brick at a cost of $37,000, with the furniture costing an additional $3,500. A local brickyard on Plum Creek, owned and operated by Lester B. Kinney, provided 800,000 bricks for this school. The new Union School opened in November 1874, and served the village until 1923. This building had eleven classrooms, two smaller recitation rooms, a library, and a superintendent’s room. It was said to be "one of the handsomest buildings of the town," and remains so today. In 1887 the Prospect and Pleasant Elementary Schools were built, and the Union School then served exclusively as a junior/senior high school. By the 1920s class sizes had grown to over 30 students per class and several portable buildings were installed behind the main building to provide additional classrooms. The Oberlin High School class of 1923 was the last class to graduate from this school. In June 1925 Edmond C. Westervelt purchased the Union School building for $9,000. He subsequently gave it to Oberlin College, which remodeled it at a cost in excess of $70,000. As Westervelt Hall, it served as college classrooms until 1961. In 1974 it was placed on the National Register of Historic Places, and in 1976 the college donated the building back to the town. The following year, Oberlin builder A. H. "Kenny" Clark (OHS ’44) purchased the building and renovated it. It is now home to the New Union Center for the Arts. Prior to 1904 the high school curriculum apparently was less than four years. This is somewhat confusing as an article in The Oberlin News of June 20, 1895, states that the high school graduates that year had "completed the prescribed twelve years’ course of study in the Oberlin public schools." However, in 1903 the superintendent of schools, Edward A. Miller, proposed a four-year high school. This was chartered in December 1903. Most of the students who had graduated in 1903 (and a few from earlier years) were also credited with graduation under the new 4-year high school in 1904, as they are listed as graduates again in 1904. Oberlin High School graduation exercises prior to 1903 were much different than we are accustomed to. Each graduate was required to give a speech or read an original essay or poem at the graduation exercises. In the 1890s, these orations and essays are briefly described in the local newspaper, sometimes with comments on the quality of the presentation. In 1903 these student presentations were dispensed with in favor of an address by Henry Churchill King, newly inaugurated president of Oberlin College, on "The Fine Art of Living." Fortunately for all graduates since then, the custom of having each student speak at graduation was never revived. In 1919 voters approved a $225,000 bond issue to finance the construction of a new high school. Apparently there were problems getting the high school started as a special election was held in April 1921 at which a second bond issue, this time for $250,000, was approved by a vote of 599 to 100. 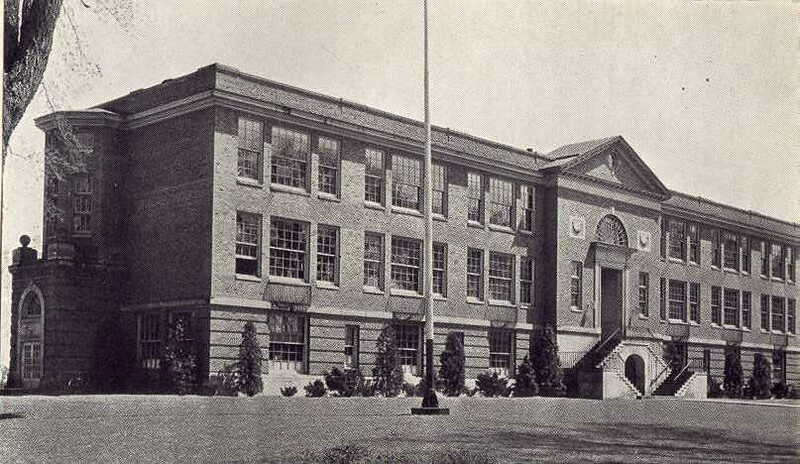 Construction started in 1921 and the new Oberlin High School building on North Main Street was opened to students in September 1923, although construction was not complete. The three-story building (two above ground) is of fireproof brick construction with a Neo-Georgian façade. The building cost $265,000 with another $50,000 required for site costs. The new high school contained 18 classrooms, two offices, a 400-seat auditorium, a gymnasium with balconies on each side for 500 persons, and locker rooms. This building was home to Oberlin’s seventh through twelfth grades for most of its use as a high school. It was also used for many town and some college functions. An Arts and Industries building was built in 1936 just south of the high school. It cost $75,000, with about half the funds coming from the federal government through the Public Works Administration (PWA). When the new high school was built in 1960, this building became Langston Middle School, and it continues to serve the community in that capacity. The Oberlin High School Class of 1960 was the last to graduate from the North Main Street high school. The present Oberlin High School building on North Pleasant Street was completed in phases. The first phase was completed in 1960 at a cost of $600,000. It contained 11 classrooms, two laboratories, a library, a cafeteria, and offices. The second phase, completed in 1965, added two more classrooms, two science lecture rooms and a laboratory, a gymnasium with locker rooms, an industrial and fine arts section, a music room, and a home economics room. 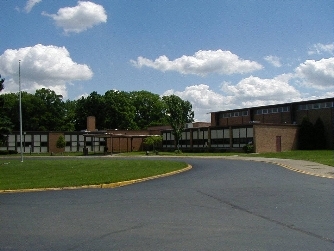 All Oberlin High School classes from 1961 to the present have graduated from this high school. When Oberlin High School was formed in 1860, there was already a thriving high school in Oberlin just across Professor Street from the first Union School. 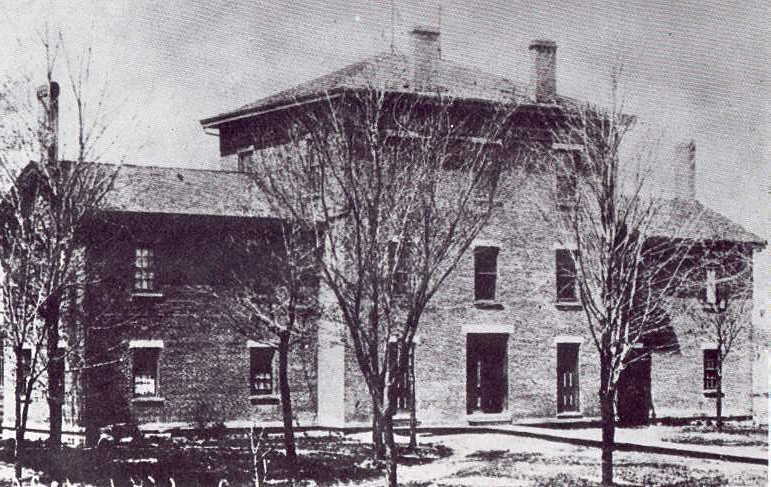 This was the Preparatory Department of Oberlin College, formed in 1833 and known after 1892 as Oberlin Academy, whose focus was on preparing high school students for college. An article in the December 12, 1879, issue of The Oberlin Weekly News stated that Oberlin Academy had been cited as the largest preparatory school in the United States. For nearly all of its history, it was significantly larger than Oberlin High School. Enrollment at Oberlin Academy was 330 in 1902-03, 362 in 1904-05 (its maximum), 302 in 1910-11, and 260 in 1911-12. The Academy, whose students were referred to as "cads", graduated 74 in 1909 (42 men and 32 women), compared to Oberlin High School’s graduating class of 43 (20 men and 23 Women). For much of its history Oberlin Academy was situated on the Oberlin College campus. After the completion of Peters Hall in 1887, the Academy took over French Hall and part of Society Hall, buildings of similar design that dated from 1868 and were situated on the west side of Tappan Square. At the behest of Charles Martin Hall, the Academy was removed from the main campus, and from 1912 to 1916 it was housed in the 24-room Johnson mansion on South Professor Street, now Johnson House, a college dormitory. As the number and quality of public high schools increased, the need for private academies declined, and after 1905 enrollment in the Academy declined steadily. In November 1915 the trustees of Oberlin College voted to abandon Oberlin Academy, and the class of 1916 was the final class to graduate from this school. Oberlin High School and Oberlin Academy provided secondary education to Oberlin students for many years, and often High School students finished their secondary education at the Academy. The schools also competed in athletic and academic contests. Oberlin has long prided itself on the public education program it provides to the children of the town. With time, the quality and opportunities provided by the town’s public education programs have continually increased. This is perhaps nowhere better illustrated than in the growth of the town’s high school facilities and programs. Please send corrections or additions to this history to the author. Geoffrey Blodgett, Oberlin Architecture, College and Town, published by Oberlin College (1985). Anthony J. Mealy, "Oberlin schools and how they grew," in Oberlin News-Tribune, Bicentennial Edition, Oberlin, Ohio, Thursday, June 17, 1976, pp. 12, 14-15. Allan Patterson, Editor-Teacher, Oberlin Community History, State College, Penns. : Josten’s Publications (1981). Wilbur H. Phillips, Oberlin Colony, The Story of a Century, Oberlin, Ohio (June 1933). The Rotary Club of Oberlin, Harry Thomas Frank, President, Pictorial Memories of Oberlin (July 1976). History of Lorain County, Ohio, with Illustrations & Biographical Sketches of Some of Its Prominent Men and Pioneers, Philadelphia: Williams Brothers (1879).